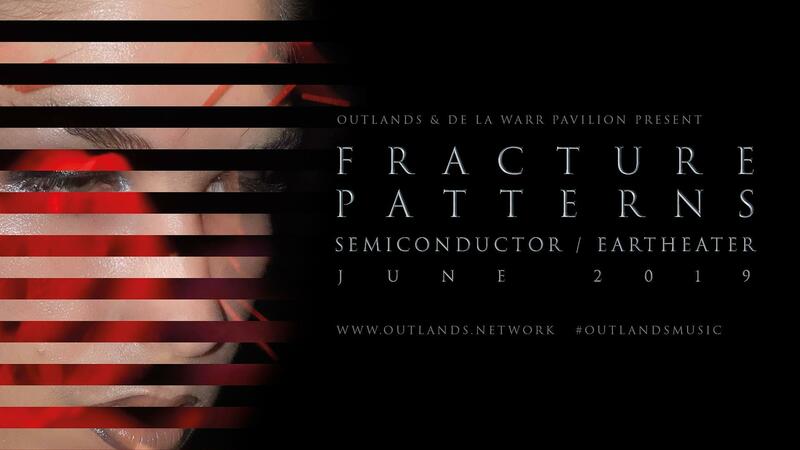 Fracture Patterns is a live collaboration between UK artist duo Semiconductor and New York musician and producer Eartheater. £8 adv, doors 7.30pm. Fracture Patterns is a live collaboration between UK artist duo Semiconductor and New York musician and producer Eartheater. This original commission by the Outlands Network combines large-scale multi-channel video works by Semiconductor with an original live soundtrack and performance by Eartheater, fusing both into a compelling theatrical production. Semiconductor’s visually and intellectually engaging artworks explore the material nature of our world and how we experience it through the lens of science and technology, questioning how these fields of reference mediate our experiences. Eartheater explores experimental pop and fantasy combining her genre-breaking musical production with a singular visual aesthetic. Eartheater weaves industrial electronic sounds and other sonic textures with an otherworldly vocal technique to create enigmatic live performances. This tour is an investigation in absorption and the spectrum between empirical research and human emotion, via large-scale, sublime projections, vocals, movement and sound that linger playfully and productively at the blurred edges between dissonance and harmony. Semiconductor and Eartheater invite audiences to join them as they explore the collision and collusion of their respective practices. Semiconductor is UK artist duo Ruth Jarman and Joe Gerhardt. Together the duo have been working together for over 15 years to create captivating large scale works. They have produced a wide scope of work, including more recently, HALO, which draws the viewer into its centre in order to inhabit the results of particle-collisions, produced by experiments taking place at CERN, in Geneva, Switzerland. Also a moving image science fiction called As The World Turns. They have previously won prestigious awards and fellowships, including the ‘Best Short Film Award’ at the International Festival of Science and Cinema, Marseille, the 'Samsung Art + Prize UK' for new media, the 'Golden Gate Award for New Visions' at San Francisco International Film Festival USA, and the 'Art and Science Award' at Ann Arbor Film Festival USA to name a few. Eartheater is Alexandra Drewchin, a New York based musician, artist, and choreographer who seeks on a daily basis to provoke classical and pop paradigms. Eartheater distills foley-filled digital production, a three-octave vocal range, and classical composition into works suspended between obsessively detailed sonic tapestries and almost recklessly romantic and gestural electronica. A body of viscerally emotive live performance stands alongside her recorded output, realized by her fearless physical investment and gut-wrenching vocal sincerity. This performance is an original commission by OUTLANDS, produced by De La Warr Pavilion and supported by Arts Council England and Esmée Fairbairn Foundation, 2019.